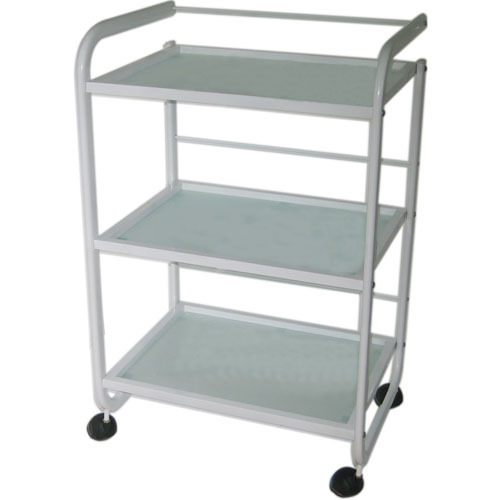 Beauty and Hairdressing Salon Trolleys delivered Australia wide. 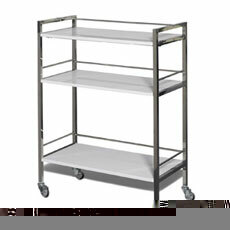 Features: Stainless frame and white 2PAC finish. Features: 2PAC finish and stainless metal frame. 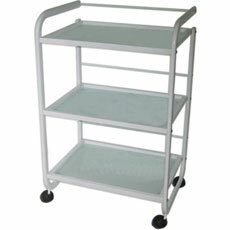 Features: Stainless metal frame and 2PAC timber finish. Features: Stainless frame and white 2PAC finish on three shelves. 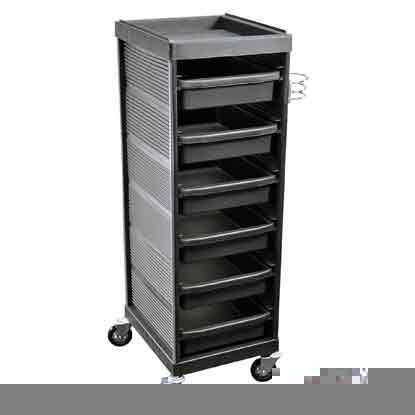 Features: Model with 2 wide timber drawers. 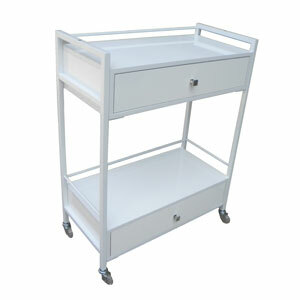 Features: Beauty cart with 2 timber drawers. 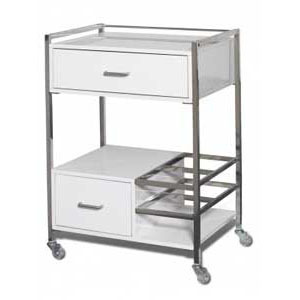 Features: Beauty Trolley with timber drawer and magi Lamp insert. 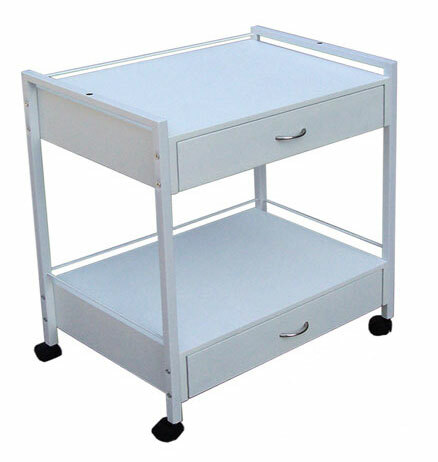 Features: 2 timber drawer Salon trolley. Features: White timber Beauty trolley, one drawer, two shelves, metal frame. 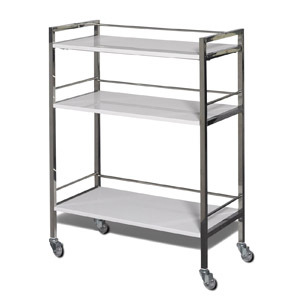 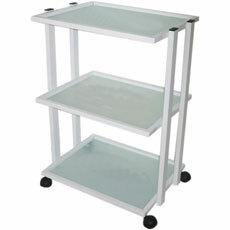 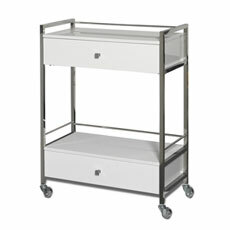 Features: Metal framed Beauty Trolley with frosted glass shelves. 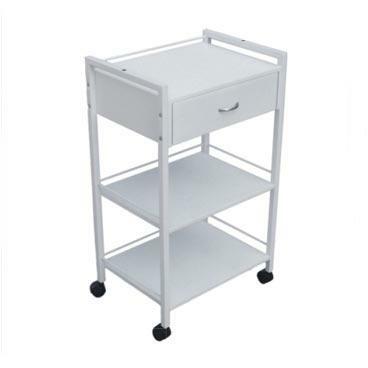 Features: Black or white, vinyl seat, three drawers. 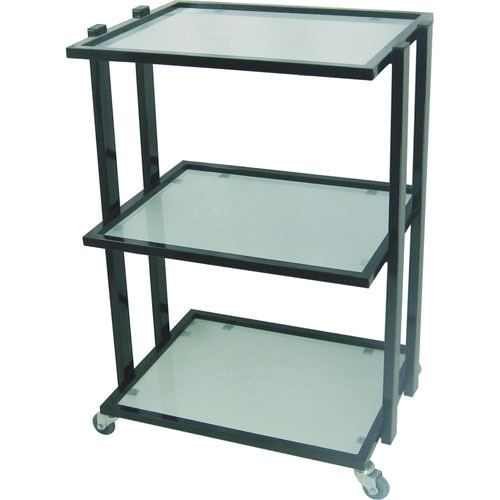 Features: Salon Hairdresser Trolleys with 6 drawers. 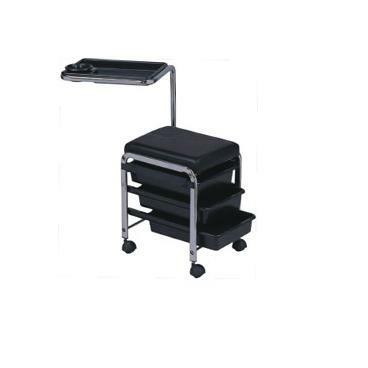 Features: Enclosed lockable Salon Trolley with 5 drawers. 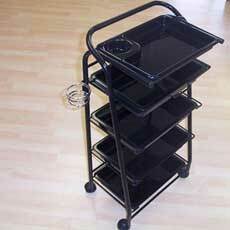 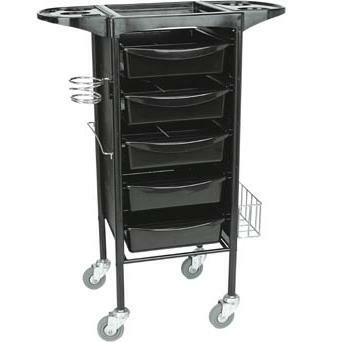 Features: Black Hairdressing Trolley with anti-Hair wheels and folding accessory trays. 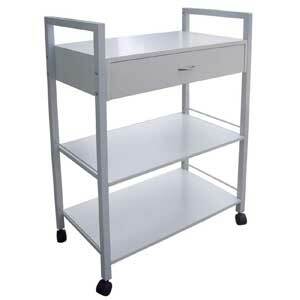 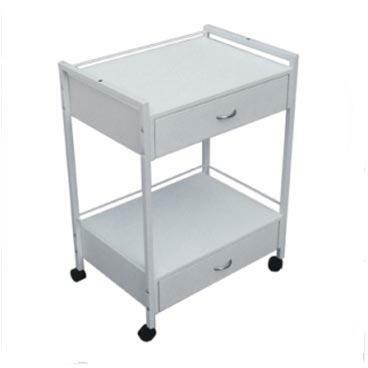 Features: Hairdressing Trolley with 5 drawers. 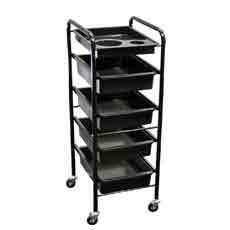 Standard Hair Salon trolley. 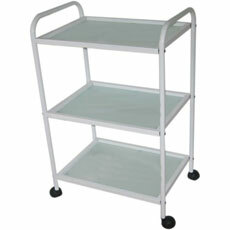 Features: Chrome framed Hairdressing trolley. 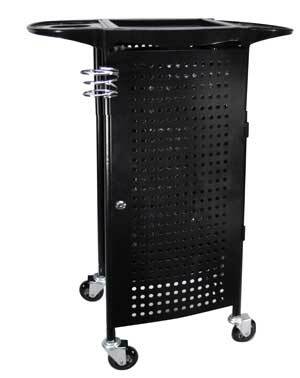 Features: Black metal framed Hairdressing Trolley with 5 compartments. 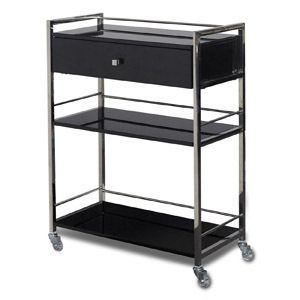 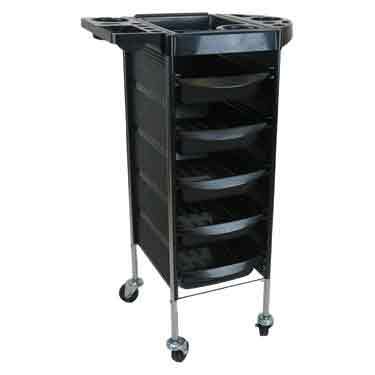 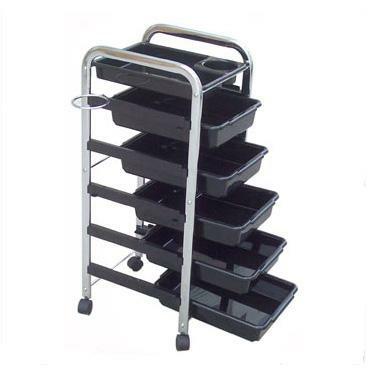 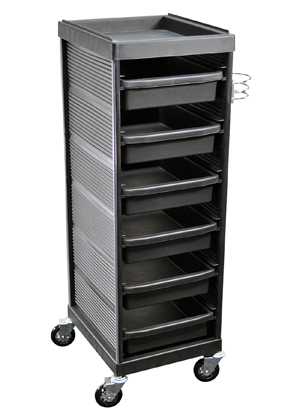 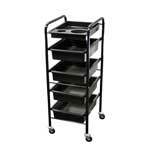 Features: Black 5 drawer Hairdressing trolley. 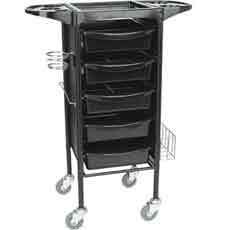 View our complete Hairdressing Trolley range in store.